Launched in 2001, the Pipeline, Profession & Practice: Community-Based Dental Education (Dental Pipeline) program is a five-year program designed to help increase access to dental care for underserved populations. In Round 1 of the program, The Robert Wood Johnson Foundation and The California Endowment funded 15 U.S. dental schools to develop community-based clinical education programs for a period of five years. 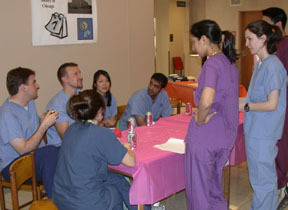 Round 2 began in March 2008, awarding eight more dental schools funds to carry out similar programs. These programs provide care to the most vulnerable populations and increase recruitment and retention of low-income and underrepresented minority students.